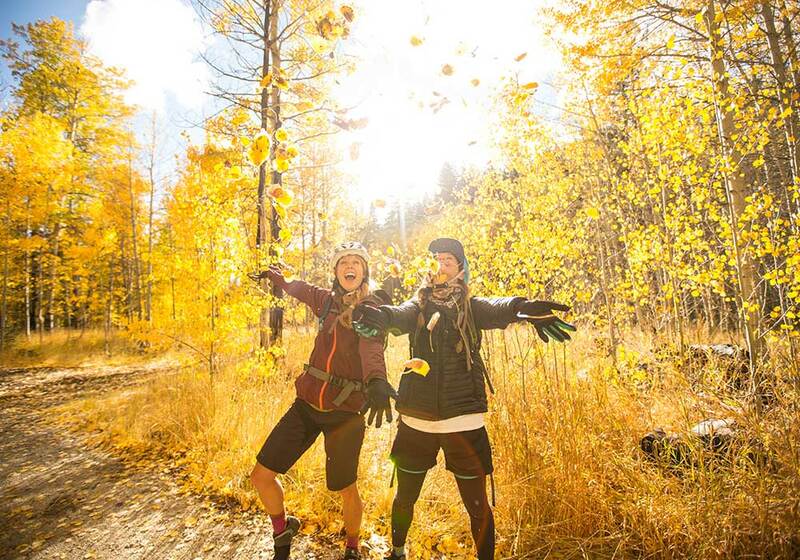 Vibrant Fall Foliage Greets Amazing Outdoor Action in Reno Tahoe Nevada. Immerse in the Local Culture with these Inspiring One-of-a-Kind Explorations for the Fall Season. RENO-TAHOE TERRITORY, Nevada — The next-door towns of Northern Nevada present a rare opportunity to experience the unusual and unexpected. One only needs to follow the locals to see and touch how this part of the world lives. At Lake Tahoe, treat yourself to a ‘mountain bike capital’ as rated by Singletrack Magazine. 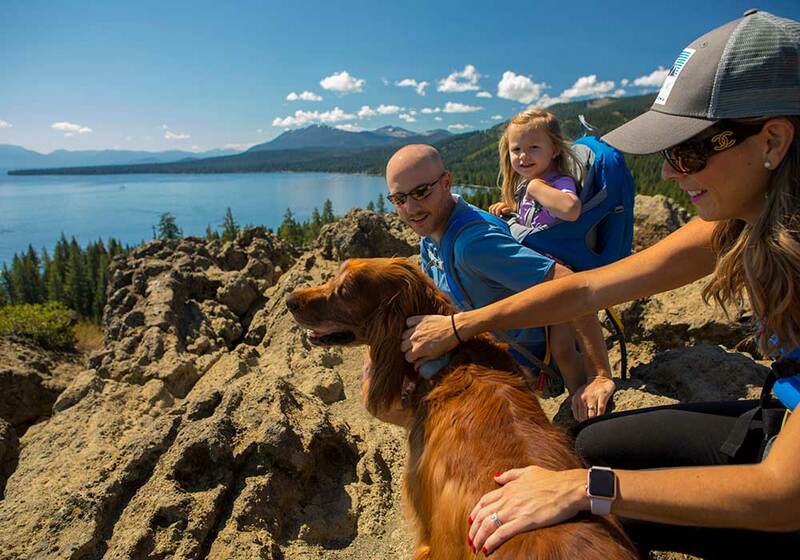 Both Incline Village and South Lake Tahoe deliver more than enough accessible, local favorite trails for fall season. And discover first-hand the obvious reasons why USA Today named Genoa in the Carson Valley and Virginia City as ‘Best Small Towns’ in America. These towns embrace the call of the frontier and the promise of the west. Joined by sister towns Carson City, Reno/Sparks, North and South Lake Tahoe, this area of the world is full of pioneer heritage that is greeted by scenic splendor and thrilling experiences of a lifetime. This recreational hub boasts national acclaim from the likes of Outside Magazine, Trip Advisor and USA Today and when Singletrack Magazine named Incline Village the mountain bike capital of Nevada, it wasn’t kidding. Bike the Flume Trail and take in the stunning views from high above the water. Talk with local experts and get trail maps at Tunnel Creek Café and Bike Rentals. Details HERE. Hike through this part of Nevada for its highest peak with changing leaves and an unforgettable 360-view of the Tahoe Basin. At 10,776 feet, the Mount Rose summit trail has plenty of distinct splendors including a waterfall 2.5 miles up the trail with different entry points for various abilities. Details HERE. Reward your hike down to one of the many secluded and pristine beaches along Tahoe’s east shore with a fresh organic picnic or cold-pressed juice from this hidden gem and local’s favorite, Mountain High Sandwich Company. Details HERE. For exquisite entrees prepared classic table side along with extensive vintage wines, ports and cognacs, enjoy one of North Shore’s premier restaurants at the Crystal Bay Steakhouse. A daily selection of appetizers includes Tapas, Tuna Poke, Escargot Thermidor and Monterey Calamari. Details HERE. Embark on a scenic journey unlike any in the world and known as The Most Beautiful Drive in America. Start your travels at any point along the 72-mile route and absorb the awe-inspired wonders of Lake Tahoe. Details HERE. 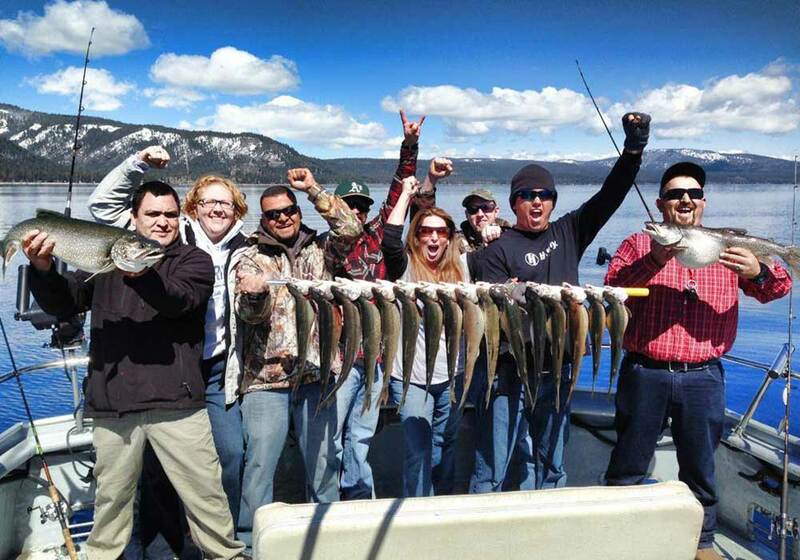 Voted Best of Tahoe for years, take a fishing tour from the family owned and operated, Tahoe Sports Fishing. This tour from Zephyr Cove Marina not only ensures achievement but it’s a proven uplifting experience. Details HERE. To get up close and personal with the blue sapphire waters, rent a kayak or a standup paddleboard. Start your human powered watercraft experience at Nevada Beach, Roundhill Pines or Zephyr Cove Marina, all pristine public beaches. Details HERE. 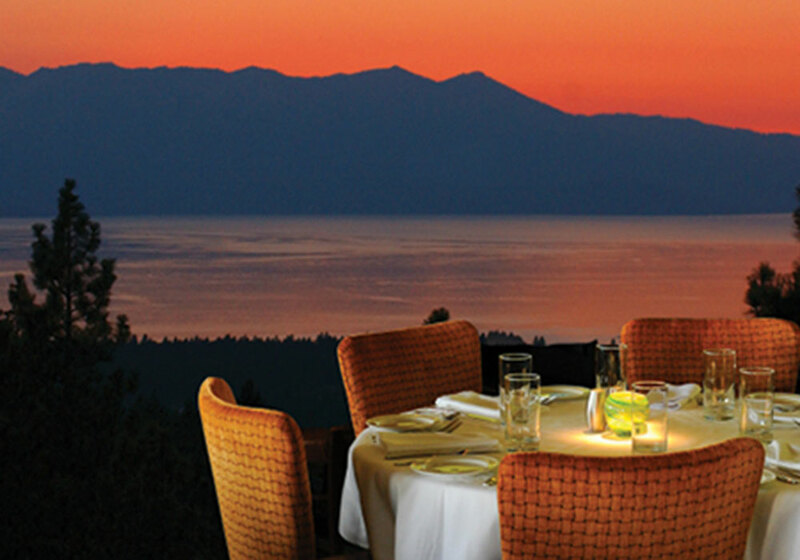 From this bonus location overlooking Lake Tahoe, the Chart House features its legendary seafood, prime rib and fantastic salad bar. And the local’s are crazy for its hip happy hour experience. Details HERE. As the leaves begin to change color, there is no better way to get a front-row view than going for a hike through our local woods. 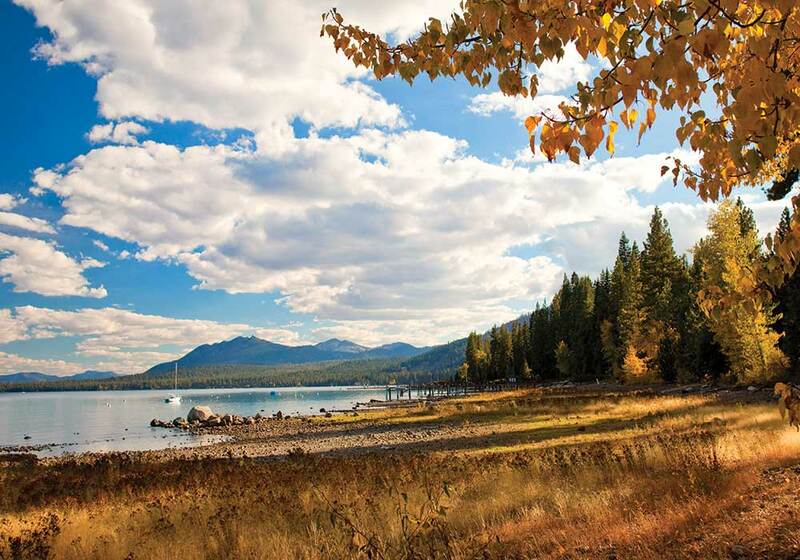 Take the Tahoe Rim Trail up to Marlette Lake or walk along the Truckee River. Fall is prime time for hiking in Reno Tahoe. Details HERE. Reno is experiencing an explosion of growth in it arts scene. From murals to sculptures, there are hundreds of creative gems waiting to be discovered in the area. Lace up your walking shoes for a self-guided art tour of MidTown and Downtown Reno. Details HERE. Reno’s dynamic event scene doesn’t end with summer. Indulge in the sights, sounds, and flavors of Italy during the Great Italian Festival. 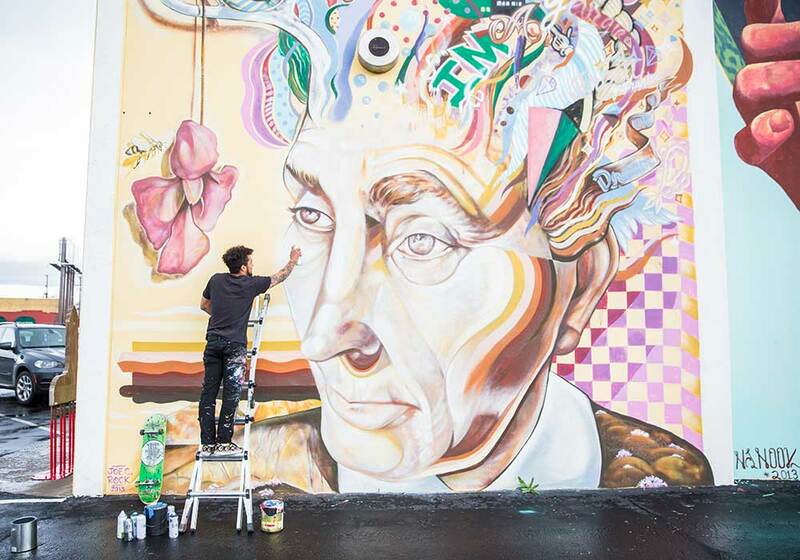 During the inaugural Mural Expo, watch 26 artists transform 28 vacant walls and alleys into an outdoor art gallery. Off Beat Arts & Music Festival is another Fall event you won’t want to miss. Details HERE. Who doesn’t love warming up with a delicious bowl of soup? From French Onion to Pho, Reno Tahoe has something for everyone’s taste buds. Visit any of these local restaurants known for their tasty soups. Details HERE. 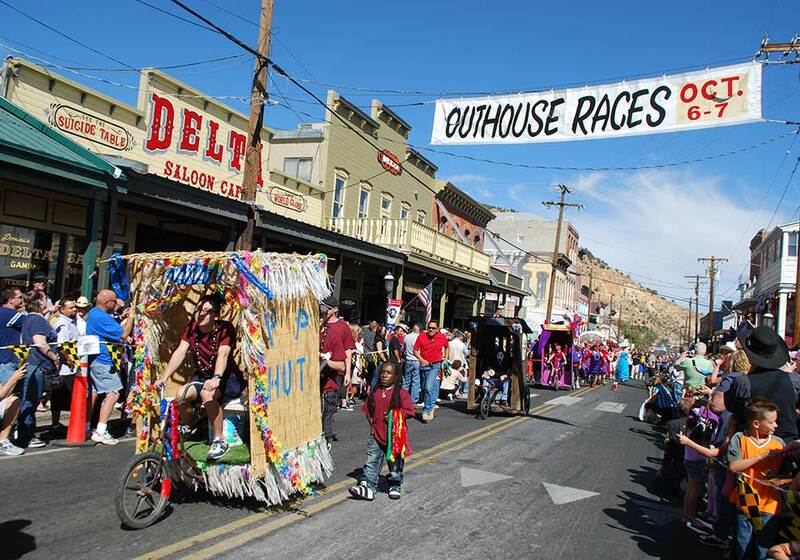 There’s always a quirky event going on in this town and the World Championship Outhouse Races is no exception. For almost three decades every October, potty humor abounds at this tradition dating back to when outdoor plumbing was outlawed and angry residents took their outhouses to the streets. These days, teams of three are pitted against each other in an all-out potty race to claim the latrine title. Details HERE. 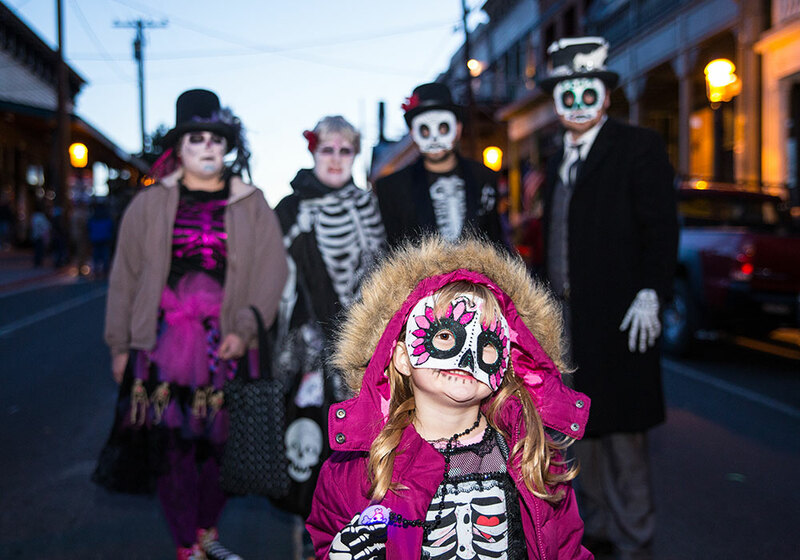 October is known as Hauntober as Virginia City is notorious for being one of the most haunted towns in the United States. Celebrate its ghostly history all month long and feel the chill first-hand on a Bats in the Belfry Ghost Tour. Details HERE. Christmas on the Comstock is a Victorian-style holiday celebration with an endless festive line-up of unique experiences. There’s nothing like the spirited Grinch Made Me Do It Saloon Crawl and families love the Parade of Lights. The Comstock Cowboys Christmas in the Sierra is a must-see concert and for more information about the town’s celebration style. Details HERE. There are few places left in America with this much character and the Crown Point Restaurant serves some of the best food on the Comstock with its traditional American cuisine at an affordable price. Transport yourself back 150 years and head to the historic Gold Hill Hotel, Nevada’s oldest operating hotel. to experience the Crown Point Restaurant that you’ll never forget. Details HERE. When USA Today recognized Genoa as one of its top 10 “Best Small Towns in the Southwest” the editors most likely noted the historic annual Candy Dance. What started in 1919 as a couples dance is now a popular two-day Arts & Crafts Faire every September. Step to live music and taste homemade candy that in early days was passed around to raise money for streetlights in Nevada’s first settlement town. Details HERE. Stay true to the land with a visit to the Corley Ranch and the fall season brings its October Harvest Festival where you can immerse amongst the thousands of pumpkins. 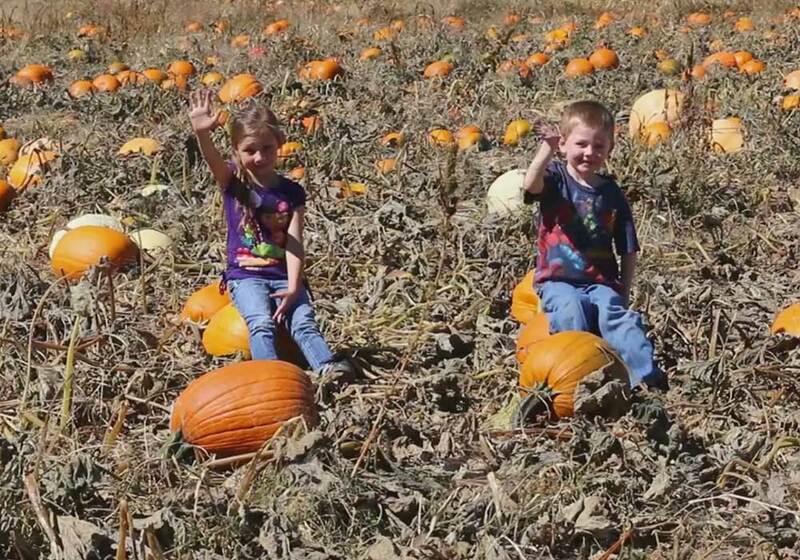 On weekends, there are energetic activities for the whole family with a Hay Slide, Farm Animals, Pig Races, Hay Wagon Rides, and a Corn Maze. Details HERE. The Arts and Antiques Trail opens up our minds to the professional artists, galleries, and antique shops as they showcase striking mountains, wildlife, rugged outdoors, ranching history, and the Old West. Journey along with your map guide. Details HERE. Did someone say authentic? 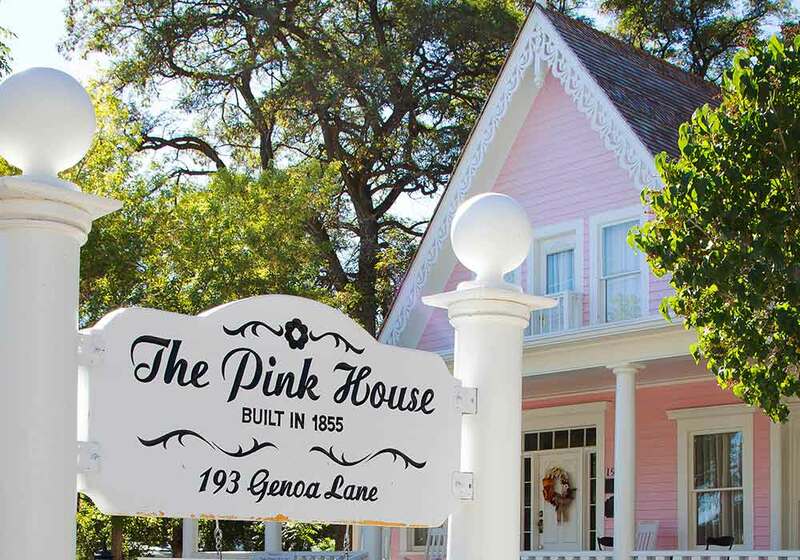 The Pink House was built in 1855 and it’s listed on the National Register of Historic Places. With a selection of artisan products, including cheese, charcuterie, beer, wine, and specialty coffee, the quality menu delivers sandwiches, salads, cheese plates, and other light fare. Details HERE. 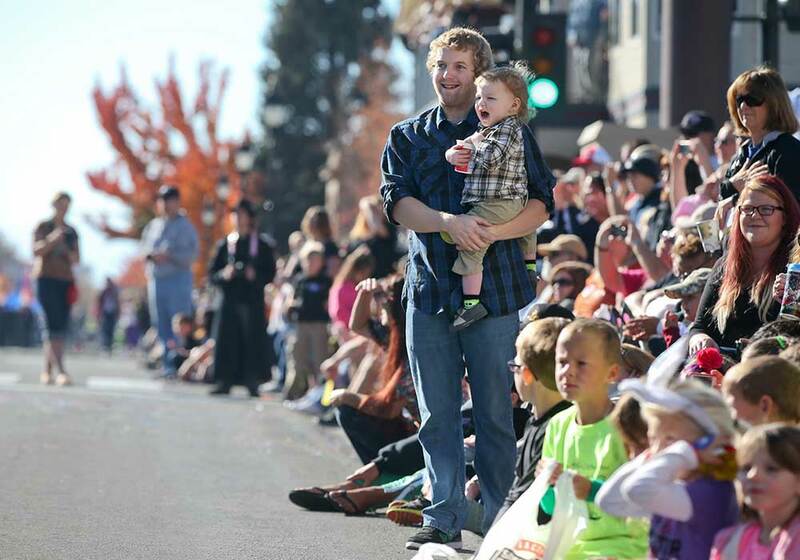 The annual Nevada Day Celebration in October is a gathering of community spirit to salute and commemorate its 1864 statehood. With a parade and numerous festivities, this event is known as the largest statehood celebration in America. Details HERE. An area once bustling in the 1870s with ore activity and mills is now a place of recreation made even more special in the fall season. 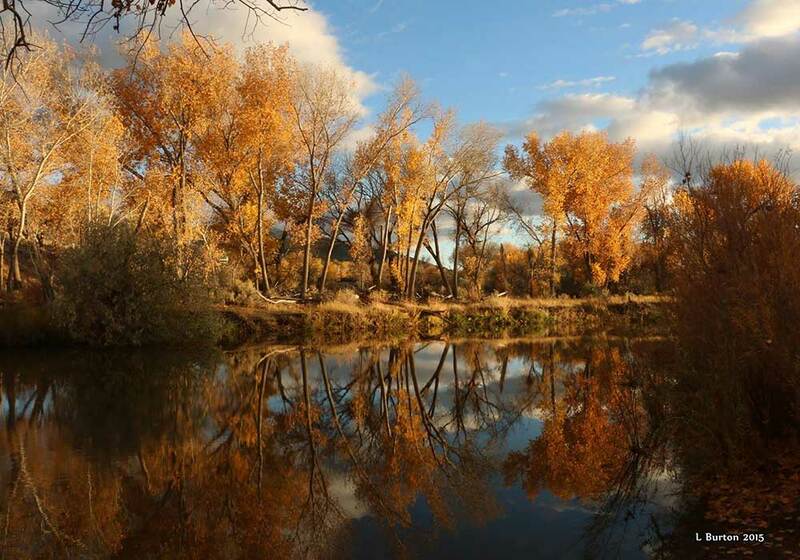 Venture off the grid amidst the beautiful colors along the scenic Carson River and Canyon where the railroad was once built using only mules and men. Tour the Nevada State Capitol in the heart of Carson City. Built in 1870, its impressive architectural buildings and picturesque grounds were once a dusty pit in the middle of a growing frontier town. Now lush with native plant species, it is open to the public for self-guided tours (book two weeks in advance a guided tour). Details HERE. Battle Born Social is the place to engage your senses with its seasonal flavors and local ingredients. The small plates cocktail bar is a popular spot for locals and travelers alike. Select from the list of ‘unusual suspects’ or try the battle born meatballs and there’s always a dessert served in a mason jar. Details HERE.